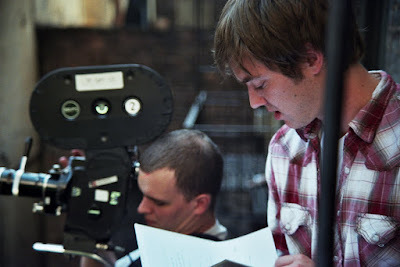 Ryan Bennett, from Pittsfield, is a filmmaker who was born and raised in Maine. 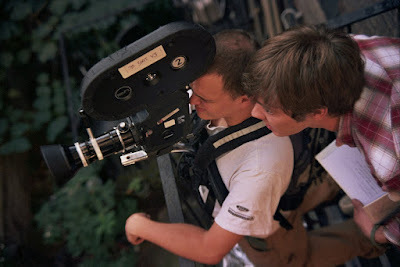 He has been making films in and around central Maine since he was 15 years old, and graduated from Vancouver Film School’s 12-month film production program in 2005. He has just completed his first short film for competition, Ramblin’ Round; you can see a trailer for this below. Ryan is thrilled to be chosen as the 2010 Performing Arts Fellow. “I am very proud to be from a state where the Arts Commission recognizes a motion picture, albeit short, as a piece of art. It is truly the greatest compliment a filmmaker can receive and for it to come from my home means more to me personally than I could ever hope to articulate." Focused mainly on postproduction, Ryan has worked as a dailies colorist collaborating with some of the industry’s most talented cinematographers in Bojan Bazelli (The Ring, The Sorcerer’s Apprentice) and John Toll (Braveheart, It’s Complicated). He has also colored commercials for advertising agencies from BBDO to Crispin Porter. Ryan’s movie short, Ramblin’ Round, will be shown as part of the awards showcase at the Strand Theatre on October 23. Ryan will also be on stage that night to provide insight into his work.